Seqonomics: How to visualise a biotech cluster? How to visualise a biotech cluster? 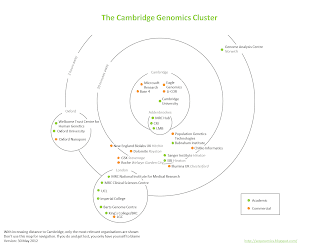 This now has happened to me once too often: I meet someone at an event, they tell me they work for genomics company such-and-such near Cambridge, and I have to admit that I have never heard of that company before. Below is my attempt to remedy that. 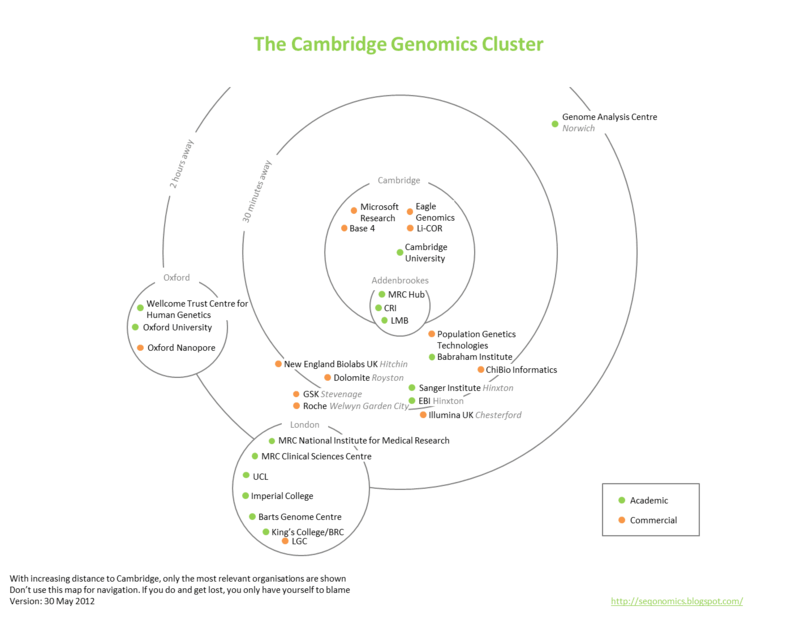 A map of the Cambridge biotech cluster, specifically for genomics. Click on the picture to enlarge. If you have any ideas how I could improve the map, please leave a comment below. Please note that I will be travelling until the 19th of June and cannot reply to your comments until then.